The Toronto Raptors have the best record in the NBA. Jonas Valanciunas isn’t always a bright offensive spot, but sure was on Wednesday. 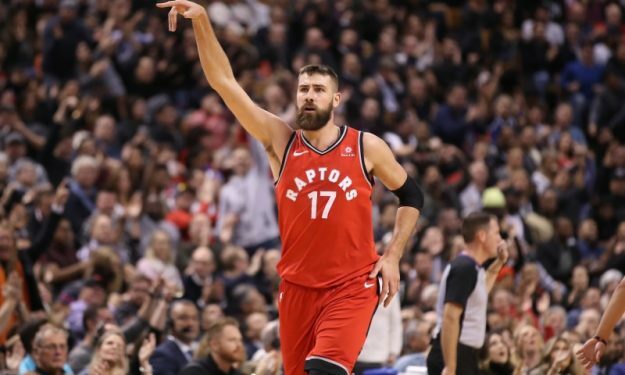 Jonas Valanciunas notched a season-high 26 points in the Toronto Raptors’ victory over the Philadelphia 76ers at the Scotiabank Arena. He poured 18 of his points during the fourth quarter. The NBA leaders struggled from long range, but punished their opponents in the paint with the 26-year-old Lithuanian center. Valanciunas had 9/12 two-pointers in only 18 minutes and also grabbed eight rebounds.